Dig deep enough in some areas and you’ll find a layer of soil rich in micronutrients. That layer, formed from the remains of ancient forests, has lots of Humic and Fulvic Acid, the minerals that are in short supply in modern soil. Don’t let the “acid” fool you, it’s not some exaggerated substance from science fiction, but the same sort of thing you see in the name of other nutrients, like “folic acid”. Humic and Fulvic Acid is associated with improved health factors in animals, including improved weight. As a supplement, it’s pretty straight forward. Most people say they notice a difference in just a few days: they feel they have more energy, and feel even a little bit quicker or smarter. While the extra nutrients help, the improved efficiency in use/absorption of nutrients is probably what makes the biggest difference. With plants, the difference having more Humic and Fulvic Acid is pretty clear. While there’s definitely the possibility of too much of a good thing (you only need a little!) 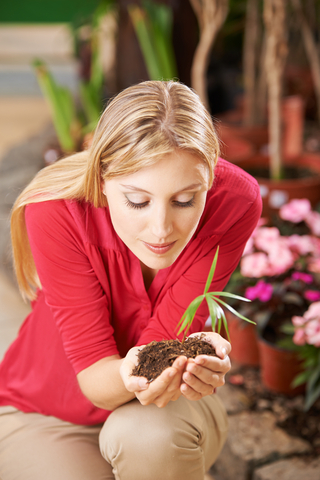 plants thrive and grow when they have a bit of Humic and Fulvic Acid. There’s another way to really see the difference: Humic and Fulvic skin spray. Humic and Fulvic minerals are really good at delivering nutrition to cells, and with the skin, that direct support shows a powerful difference when it comes to blemishes, redness, and even age spots. Get more from your nutrition with Humic and Fulvic Acid. Just a bit a day to can help with nutrition can make a big difference.